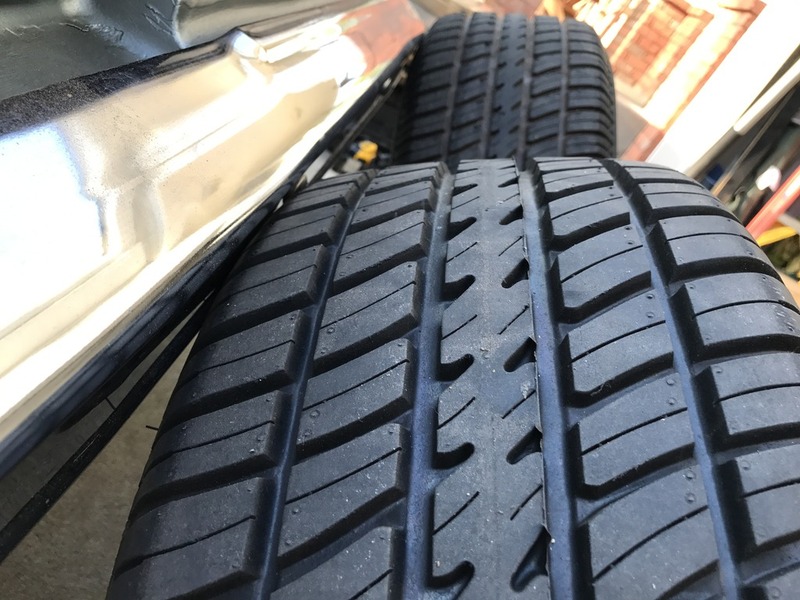 [/b]My car got its new set on so the old set must go. I'd love to collect them but I don't see this car going in the direction where I'd ever put them on it again. So here is the skinny. 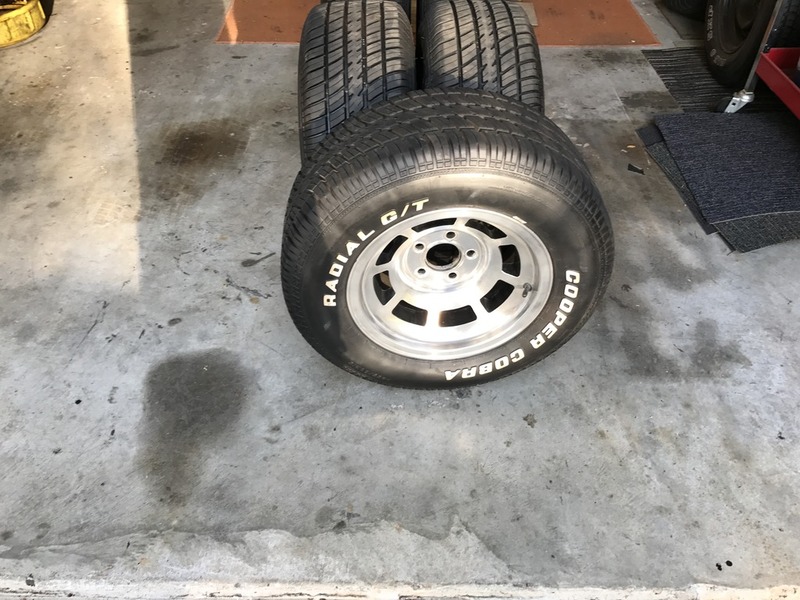 2 tires are brand new. 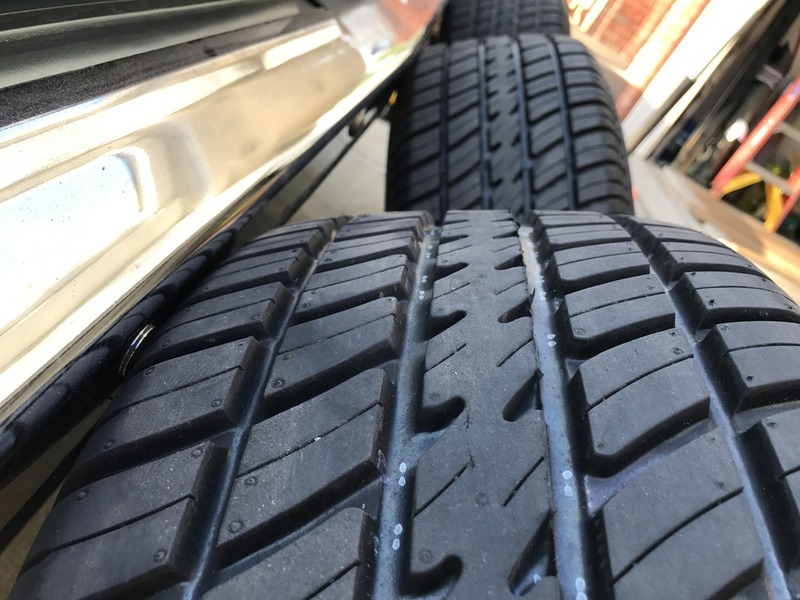 Maybe 300 miles on them. 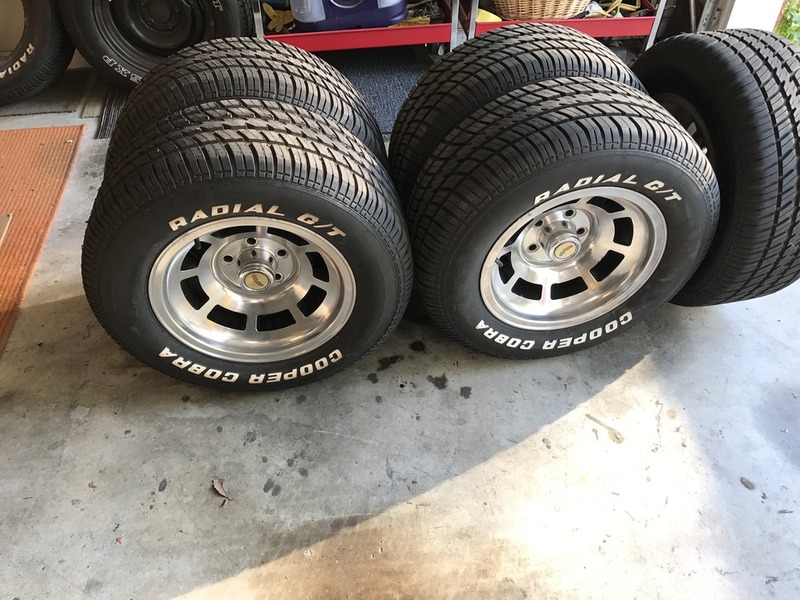 Bought them from summit a week before the Turkey Rod Run in November. 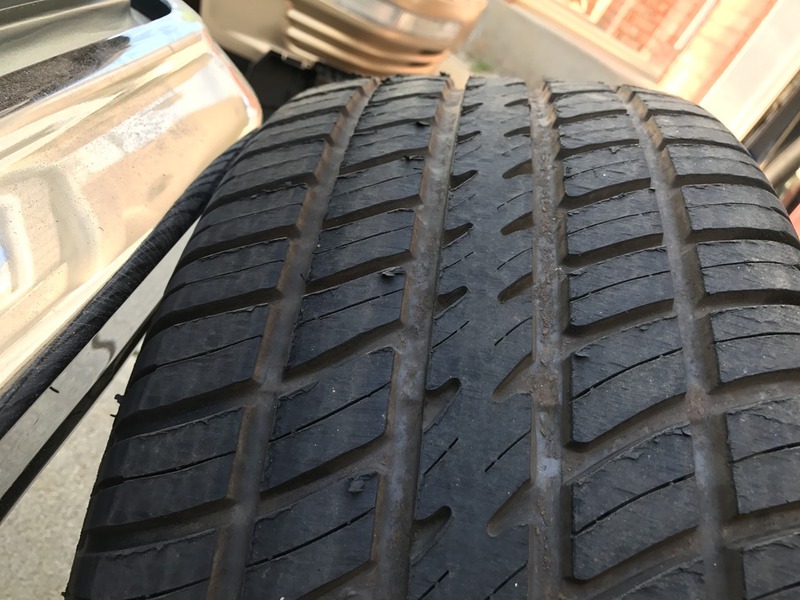 2 tires had flat spots on them. Smooth ride up to 60 mph then it was start to shake. 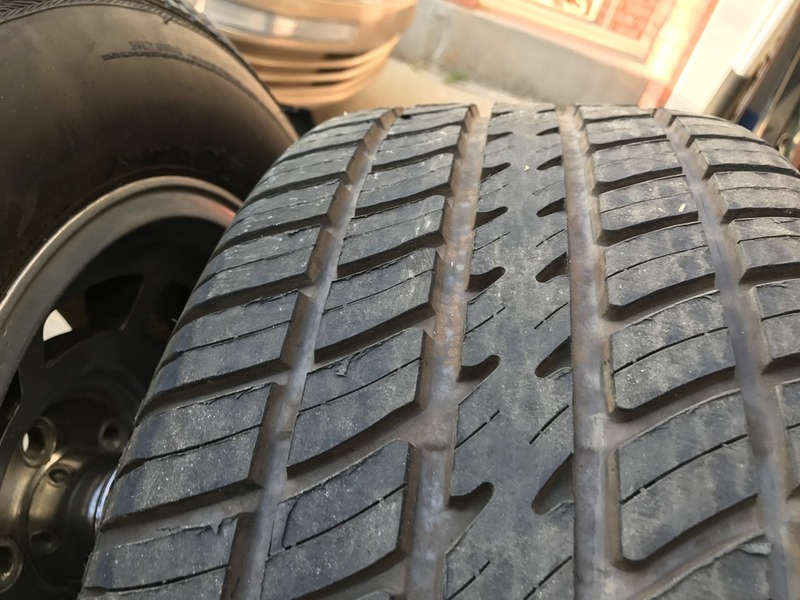 I took them up to the old school guy and he took them off the rim, remounted them, shaved a area and road force balanced them. If you look up my posts you'll find where I had that issue. They are smooth as silk now. The is fine. 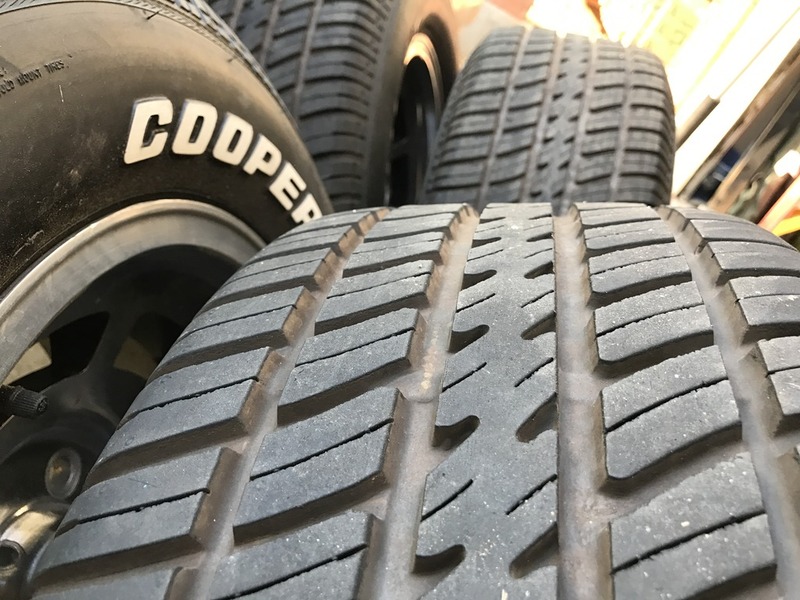 No curbs on any of the wheels. They are the originals, not reproductions. I put a light polish on them when I got them and they still look pretty good. Of course one could always go further and make them like chrome but they've served well for me. The caps are showing their age but work. I have 19 of the 20 lugnuts. One went on the stud and cross threaded and broke the stud. I am west of Atlanta, GA off I-20 in Douglasville. Not to far from Six Flags over Georgia. You all already know they would be expensive to ship so know that upfront. I can meet someone up to say 50 miles or so to help out so one wouldn't have to come thru the city if that would help. Bolt them on and go. 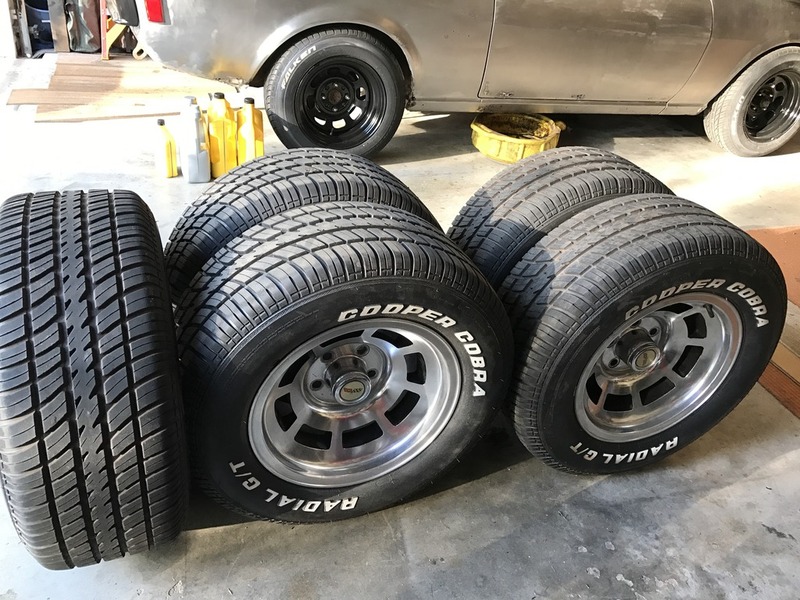 These wheels go good on a bunch of cars and look right at home on ours. So many people in Daytona asked if they were stock option. So, let me know. Really want to sell to fund the next phase of my project. Thanks for looking. One of my favorite combos. Love those wheels. Good luck with the sale. 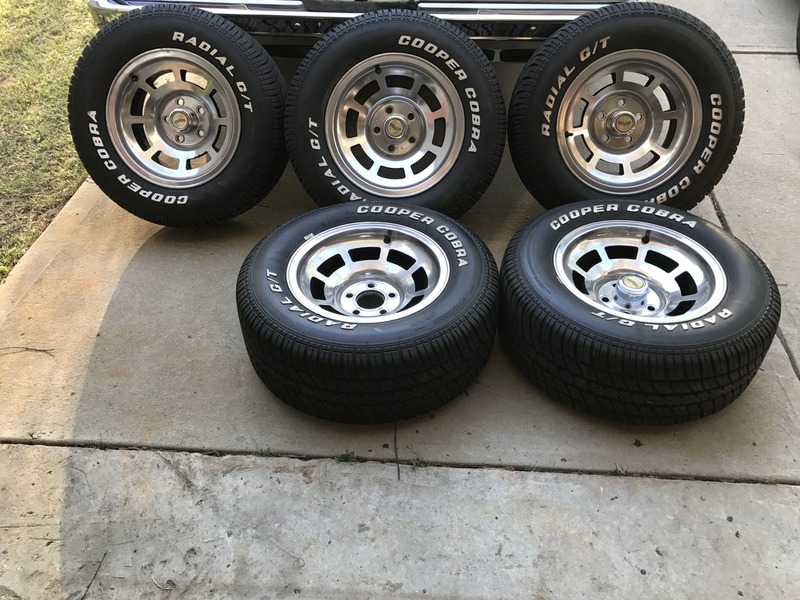 If you don't get any bites here, it might be worth you'r while to put them up on the corvette forum. Introduce yourself and post them. You should have no problem getting your asking price there. There is a ton of traffic on that site. I would be interested myself but I have a 68. Starting in 70, the wheel openings were flared to fit wider wheels/tires. they would stick out on mine. Thanks for the well wishes. I've got them on craigslist now, getting the spammer texts now but I'm sure they are a good enough deal that they'll get snactched up. I doubt anyone will want to ship these or travel too far anyway as they can be found pretty easy. But their is value to the lugnuts and them already mounted and balanced ready to go on. 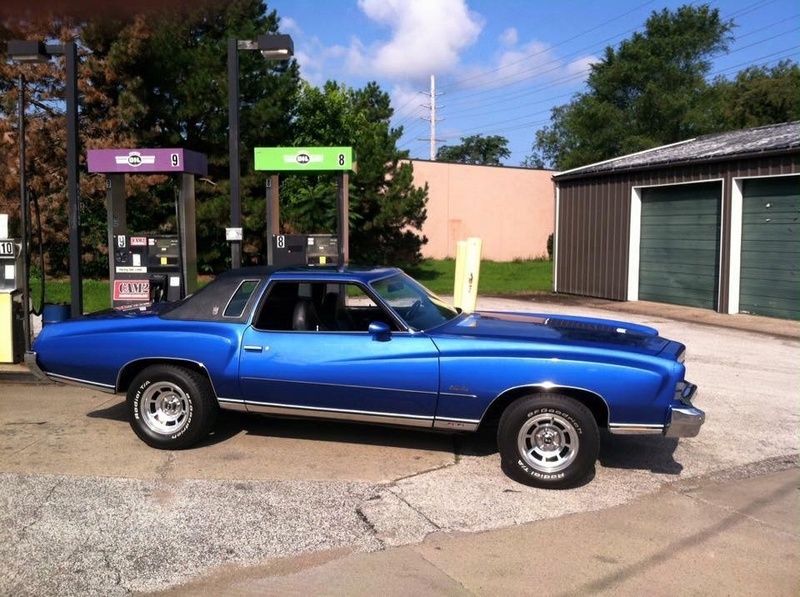 73ss, I thought about going on a vette forum but registering just to list something for sale seems sketchy to people and trust on a forum nowadays is huge. If you are a member and wanted to post a link I would be grateful and would be willing to pay a commission if someone did buy them. But I'll leave that up to you. I really don't need anything for the car other than a cowl vent screen. Unless you have some QA-1 coilivers LOL. Damon, I can post a link to this if you would like. They can PM me or maybe join this forum to PM you. You'l have to PM me your contact info so I can pass it along. I can explain that if I post it. You are right about the trust issue. I've seen a few members show up here with questionable stuff only to disappear. No commission. The only thing is I'm not on the forums every day, although I do try to check e-mail every day. So there might be some delay. I'm old fashioned, No smart phone. Meanwhile, Try to find some date codes on those. the vette guys are all about the numbers and dates. Steel wheels are stamped, I don't know about the aluminum ones. Maybe google it. love love love these wheels. ive had a set on mine on since 2002.